The Kirkwood men’s basketball team advanced on to the next round of the Region XI tournament following a 78-71 victory over North Iowa Area Community College. Their next test comes on Thursday at 7:30 p.m. when they host Iowa Lakes in the semifinals. CEDAR RAPIDS, Iowa (March 7, 2017)-The Kirkwood men’s basketball team finished a successful regular season and begins postseason play as the second seed in the National Junior College Athletic Association (NJCAA) Region XI DII Men’s Basketball Tournament today. 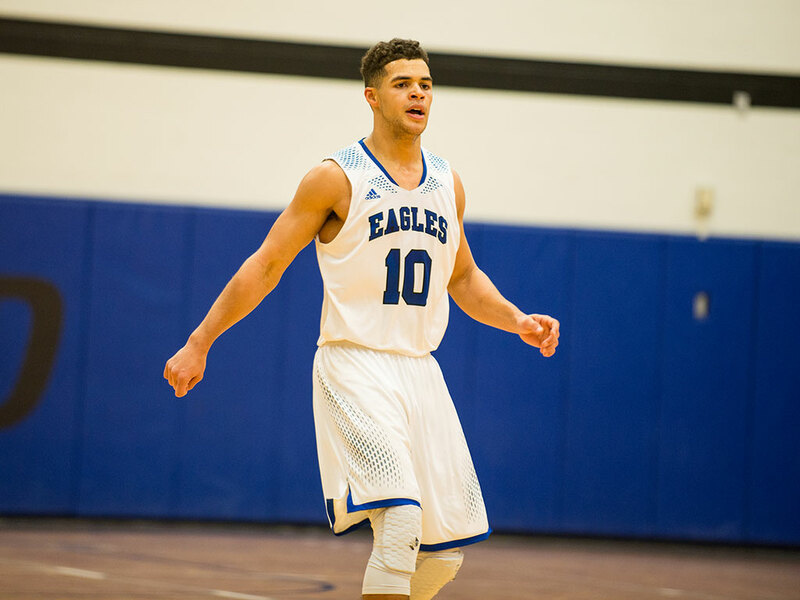 The Eagles will take on the number seven seed North Iowa Area Community College (NIACC) Trojans starting at 7:30 p.m. in Johnson Hall on Kirkwood’s main campus. The twelfth-ranked Eagles wrapped up the regular season with a record of 23-6 while going 9-3 in conference games. Kirkwood finished second in the conference behind Southwestern Community College. The team is in the top-10 nationally from a statistical standpoint in multiple categories. The Eagles are ranked seventh in overall shooting percentage (49.1), 10th in three-point shooting percentage (40.1) as well as number one in free-throw percentage (79.8). Head Coach Bryan Petersen’s squad looks to repeat that same national championship magic from a year ago beginning tonight in Johnson Hall. The victor will face the winner of the matchup between third-seeded Iowa Lakes and sixth-seeded Iowa Central. For more Eagles athletics news, and to take a look at the men’s Region XI bracket, go to www.kirkwoodeagles.com.